D7 Google Reader is a simple, fast and powerful Google Reader client for Android. It helps to access your reading list with ease from a native android application. Security of your Google account: no need to provide your username/password; an account can be chosen from the list of configured Google accounts. Network traffic is compressed, hence uses less internet bandwidth. Ability to choose the startup screen between "Feeds" and "Reading list". 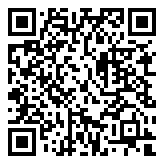 Scan the QR code below to locate it in the market.